Tochigi Daily Photo: Need a taxi? I'm using a new computer and I don't really like how the photos look on the new display. So bear with me, because it will be a trial and error process to get them looking all nice and snazzy again. And yes, we are back on line! woot! woot! Very nice-- it looks pretty snazzy to me! Love all the shiny black-- I thought taxis were universally yellow. I love the taxi photo! 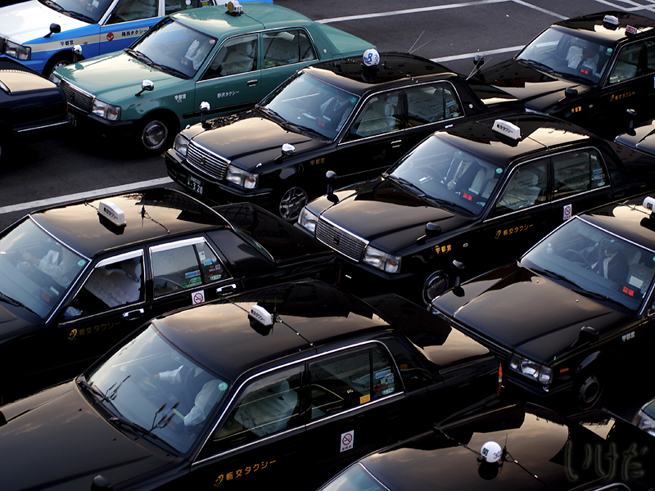 I took a lot of taxis from train stations while teaching in Japan! I always admired the drivers who wore white gloves, a hat and uniform!